(2002/Big Nickel) Paperback, 21x27 cm, 188 pages, complete illustrated. Each volume by year (1950 to 1959) provides a month-by-month survey of the key articles, news stories, feature columns and record releases in a given year during Rhythm and Blues' most vital and musically significant era. Hundreds of authentic illustrations include graphic reproductions of vintage record company advertisements and artist publicity photographs. 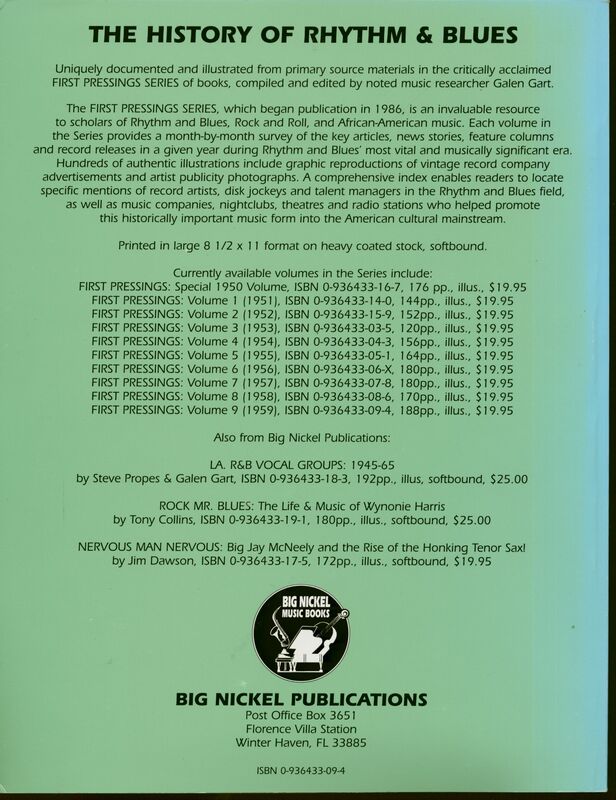 A comprehensive index enables readers to locate specific mentions of record artists, disc jockeys and talent managers in the Rhythm and Blues field, as well as music companies, nightclubs, theatres, and radio stations who helped promote this historically important music form into the American cultural mainstream; an invaluable aid to the serious researcher looking for primary source information. (These books are now out-of-print). 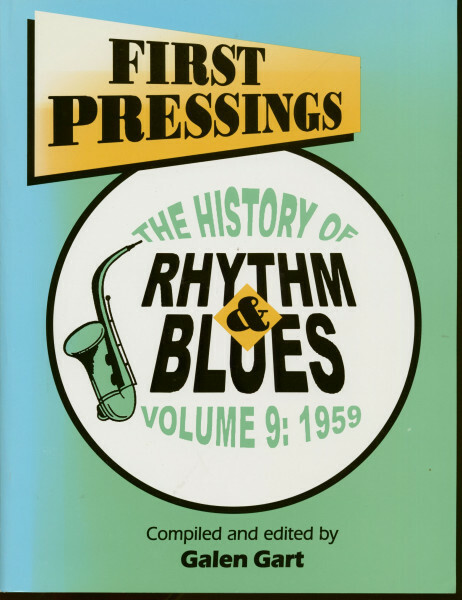 Évaluations de clients pour "First Pressings - The History of Rhythm & Blues Vol.9: 1959"